One of my favorite wedding day details is sneaking in a photo op thank-you to send after your big day. I think it’s not only clever and creative, but it’s sweet for your guests to have another token reminding them of your wedding day. 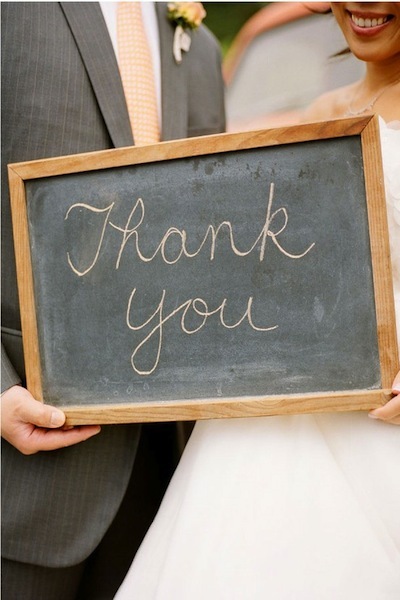 Brides today are opting for less generic versions of the thank-you signs of the past, and seeking more individual options. I absolutely adore this book thank-you sign. The couple had a book themed backdrop at their wedding as well. Easy to make, simple, and most of all was really about the couple’s personality. This thank-you version obviously isn’t a photo, but it’s just so sweet and pretty that I think any guest would still delight at getting this in the mail! You could create your own version with personalized last name, wedding colors, etc. then take a photo of it and create postcards to send. If you specifically want vintage scrabble tiles (the only difference between those and new is that the new ones can be more glossy and brighter, and have less of an aged look) ebay is a great place to find inexpensive ones. This photo is just gorgeous. Aside from the bride’s incredible dress the simple heart displaying their thank-you doesn’t deflect from the star of the shot, the couple. This could be a handmade DIY project, or you could find a similar heart on Etsy. This thank-you version is especially fun because it gets the whole bridal party in on the fun, and the vintage letters are a bonus! 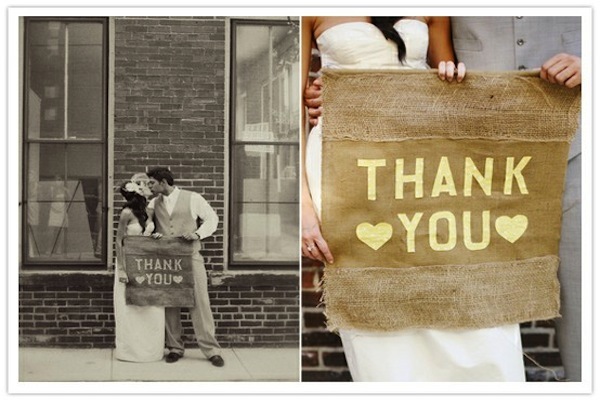 This couple takes a departure from the thank you bunting and uses sweet handmade signs to string together. J’adore. 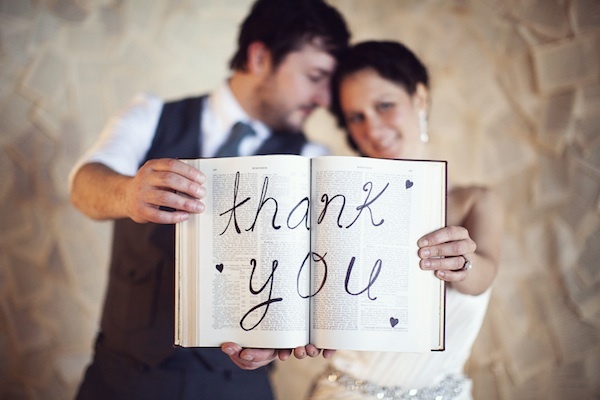 This couple carried this vintage inspired text through out their wedding, so it only made sense that they used it in their thank you photo as well. I really love that they attached the letters with vintage clothes pins! 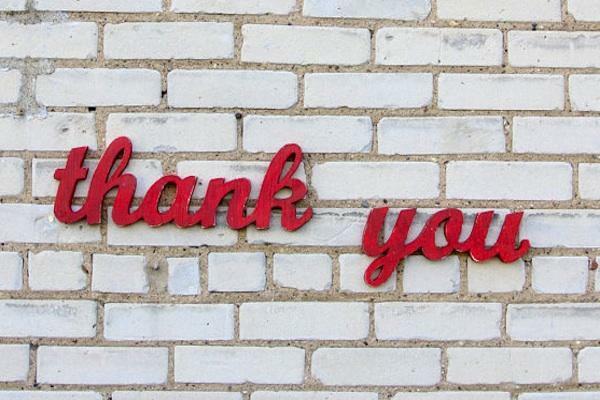 The font, the shape, the wood, there’s nothing I don’t love about this thank you sign! I found this sign on etsy and I think it would be perfect for a cute vintage pop for a couple to hold in their thank you pic! 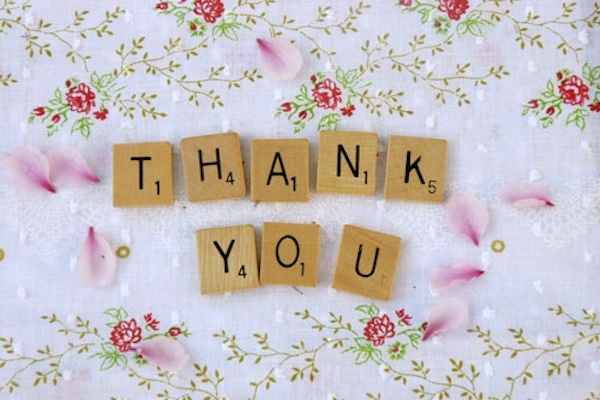 Lastly, this thank you printed on burlap can be modern (because of the font) or rustic (because of the burlap) and has a great DIY touch. Wedding thank you photos are another fun way to show your creativity and to leave your guests with a beautiful keepsake!